MOBILE MEDIA ADVERTISING OFFERS YOU A HIGH RETURN ON INVESTMENT, IN THIS ECONOMY YOU WANT TO GET THE MOST FOR YOUR DOLLARS. WANT YOUR COMPANY'S EXPOSURE TO SKY ROCKET? Would you like a far-reaching, across demographic, affordable way to advertise yourself and boost company sales? We believe you should look into investing in mobile media advertising. JMR Graphics has always known that vehicle wraps are the most cost effective medium available to boost a company's exposure. In addition to low cost you obtain a way to advertise to multiple demographics, in multiple locations, at virtually any time of day or night. Your vehicles take your advertising wherever they go. 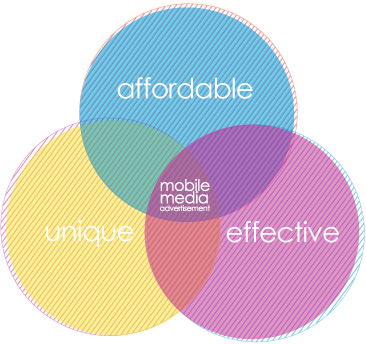 The cold hard facts are simple, mobile media advertising will deliver you the most bang for your buck. Don't believe us? Listed below are the conclusions of a study conducted by the Cox Communications / Eagle Research team regarding mobile media advertising role in the current advertising market. MAKE AN IMPACT, LEAVE AN IMPRESSION, SPREAD YOUR MESSAGE ACROSS THE UNITED STATES & WATCH YOUR SALES RISE. 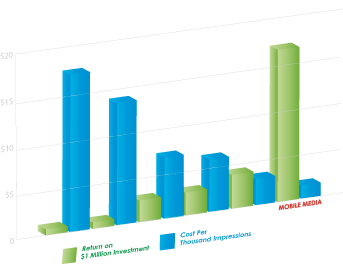 According to the study conducted by the Cox Communications / Eagle Research group mobile media advertising produced the largest return on investment. The return on the cost of impressions for mobile media advertising beat spot TV, newspaper, radio, network TV, and traditional outdoor advertising. More exposure for less investment is difficult to argue against, however there is another plus to utilizing mobile media graphics, positive lasting impressions and uniqueness. According to the study conducted by the Cox Communications / Eagle Research group mobile media advertising creates lasting impressions on those who view it.  They also note that mobile media advertisements are number one in terms of uniqueness in the eyes of the viewer. Here at JMR Graphics we have the experience, skills, and ability to implement successful campaigns for you and your company when it comes to mobile media advertising. Contact us at contactus@jmrgraphics.com for a free quote and our expert consultation. Want to see what we can do? Check out our portfolio! Feel free to contact us today for a free quote and project evaluation!